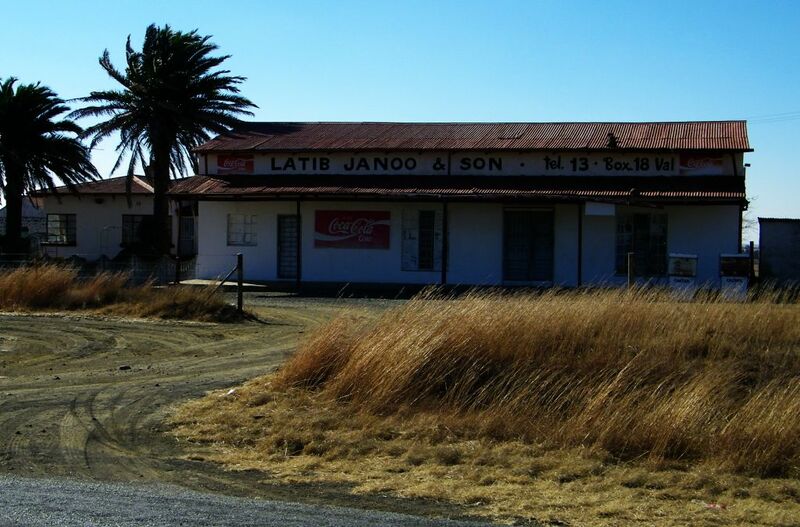 First there was an inn, established, according to the Val Hotel website, for the travelers between the Lydenburg gold fields and Johannesburg. Looking at the map that doesn't make sense. Perhaps it was for the traffic from the Natal coast to the inland. But when that was we, at least I, don't know. One fact we do know is that there was a post office in 1888, because of a stamp marked Waterval 1888. That is what the place used to be called until it was shortened to Val to avoid confusion with some other place called Waterval. 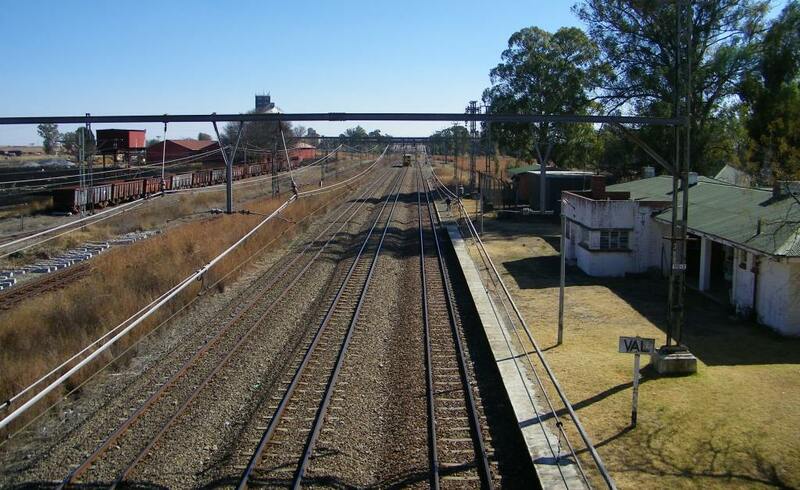 The railway line between Durban and Johannesburg was opened in 1896 and with that also the station. It still sees heavy traffic passing through, as we witnessed during our visit. 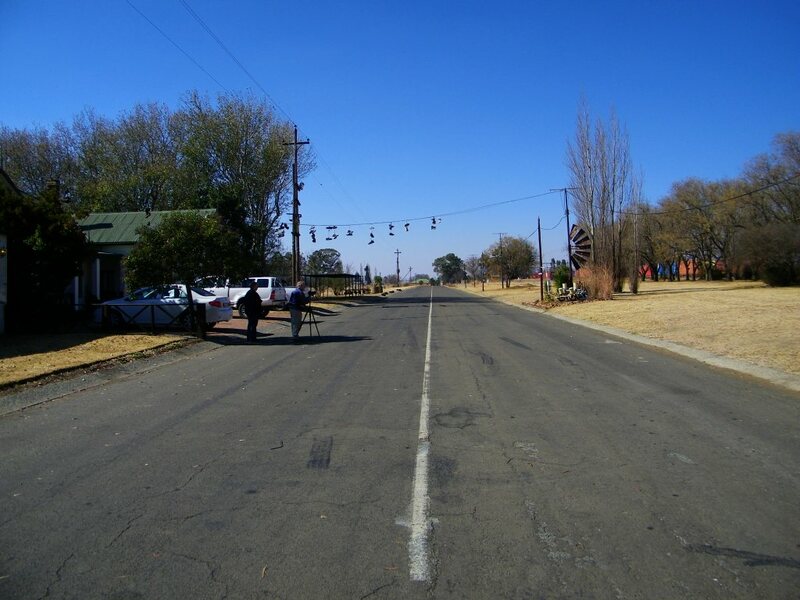 One important Boer war event that happened here was in 1902 General Botha and some of his staff climbed onto a special train at Val station to be taken to attend peace talks. The hotel was put up when the rail came, later on fell into disuse and was bought by Rita and André Britz, but you can read all that in the hotel website. And also how it stays afloat nowadays and has turned into a good business. 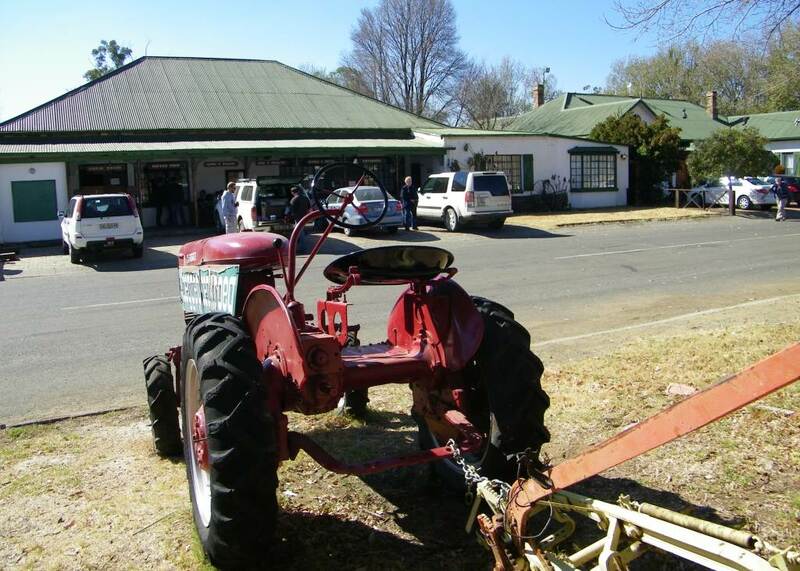 As part of the same complex is the museum and antique/collectables shop. There is only one, and that is an Anglican church. It was built in 1964, got knocked by lightening, burned down and was re-built in 1971. A lovely little church, I think mostly used for weddings. At the end of the road turn left just before the police station, there is the Smith grave yard. Very historical. I see two different ways of spelling the name: Ghandi or Gandhi, I am sticking to the way its spelled in the Encyclopedia Britannica as the most reliable source. Yes, he was here. I can't establish many details, but it is said he spent time in jail in Val. 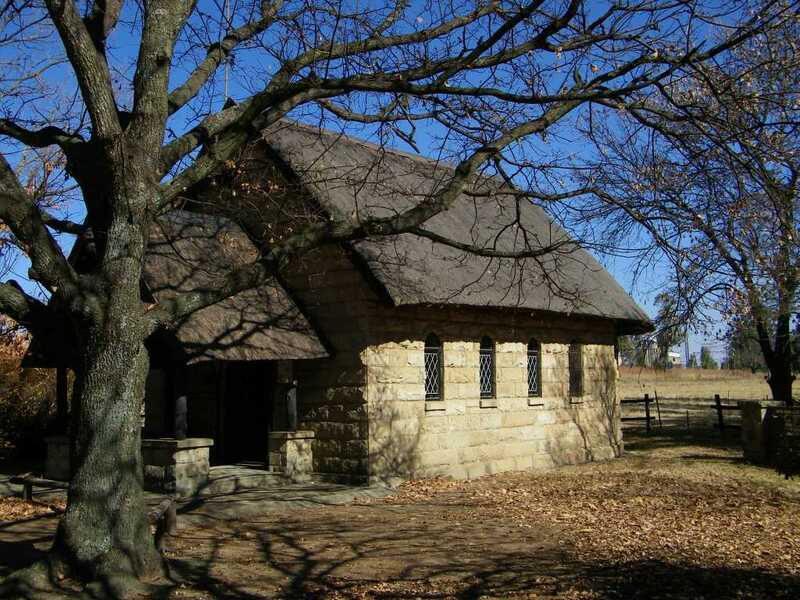 There is a reference where it said that in 1907 he was arrested near Standerton. Whatever it was, the claim to fame for Val is that he was jailed in the local police station and because he had some unusual culinary requirements (he was vegetarian), the police asked Mrs Janoo to provide his meals. Mrs Janoo is the grandmother of the present owner of the shop shown in the picture. There are the big silos as we find them dotted all over the country, but then there is an old installation of typical silos (standard design) which we can find at various places. This one is still standing and is in a near complete state. 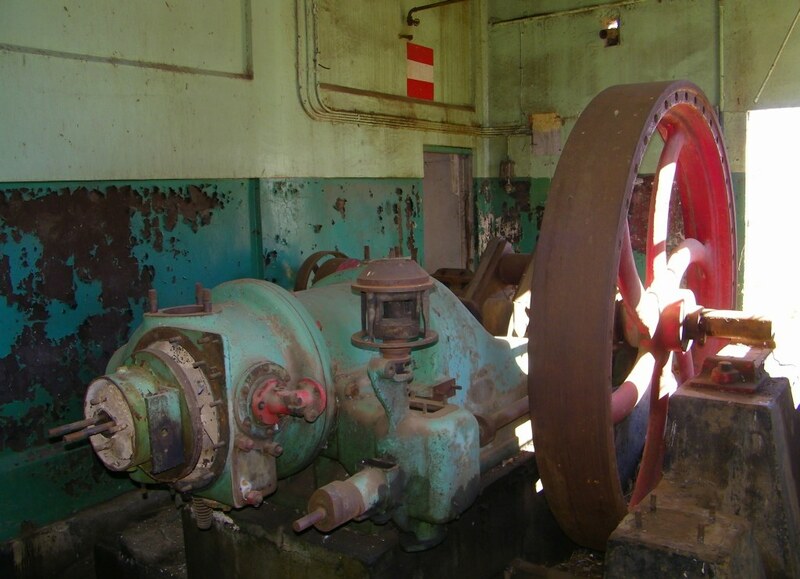 It contains the engine used to drive the conveyors, elevators and fans. It is a Hornsby engine driven using lamp oil, I think that means parafine. It claims to be one of the first engines that used compression to ignite the mixture. The engines were produced by R Hornsby & Son in Grantham Britain. The YouTube video shows one of those restored engines (100 hp) in operation. 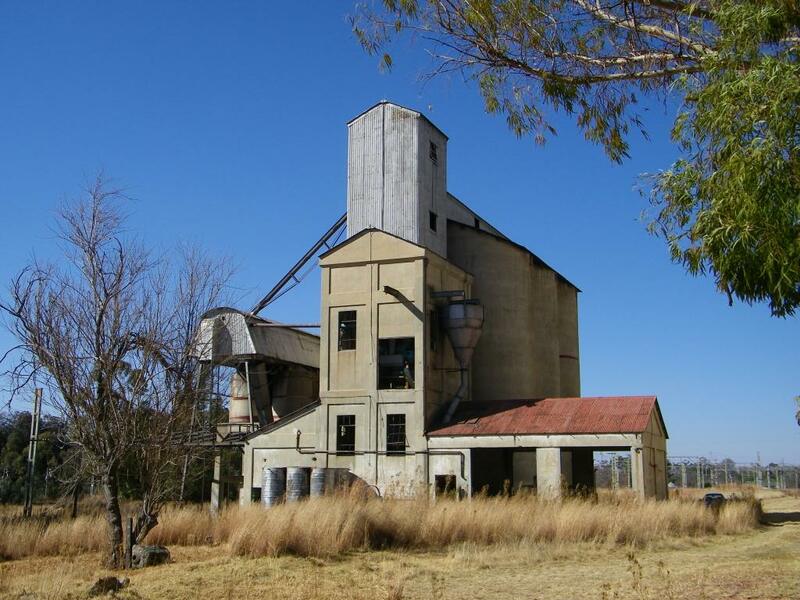 This one was stated to have operated one of the grain silos in South Africa. We haven't seen that yet, its a 3km walk to it. I'll do this one day and post a picture. Reference: sorry, no references, the place is so small its not even mentioned in the 'Encyclopedia of Southern Africa'.